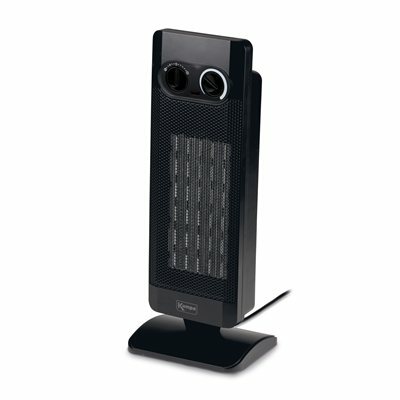 The Kampa Tall Oscillating Heater features PTC tecnology. It has two heat settings . PTC (Positive Temperature Coefficient) is a unique technology that replaces traditional resistance wire with ceramic stones or chips. This allows powerful and energy efficient heat transfer.